Beautiful day for a big announcement at YVR! Air Canada is expanding service to three key U.S. destinations out of Vancouver. Three new routes strengthen YVR hub and create 226 jobs for B.C. Richmond, B.C. (November 19, 2015): Today, Air Canada announced the launch of three new U.S.-bound routes out of Vancouver International Airport (YVR) starting in 2016. The new transborder routes include daily non-stop service between YVR and Chicago O’Hare International Airport (ORD), YVR and San Diego International Airport (SAN) and double daily non-stop service between YVR and San Jose International Airport (SJC). The inaugural flights to San Jose and San Diego in June will mark the only services to these cities from Vancouver. These new destinations will offer Vancouverites access to two popular California markets for both holidays and business opportunities. These three new services will also add 226 jobs to the B.C. economy and $17.5 million in Gross Domestic Product, $5.5 million in taxes and $4.6 million in wages to the province. ¹ Flight operated by Air Canada Express; ² Flight operated by Air Canada rouge. 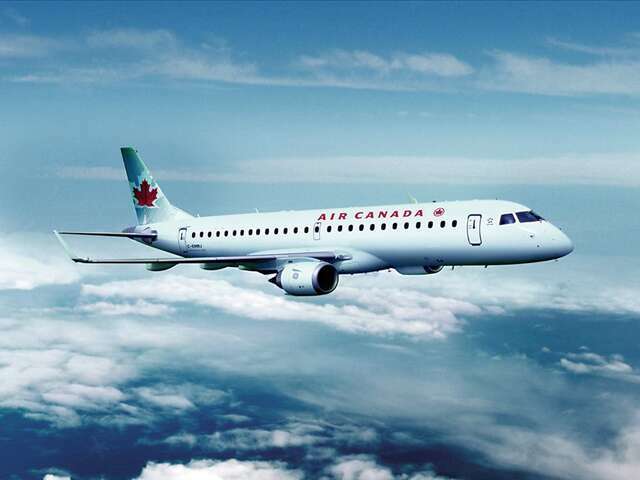 Air Canada will operate an Embraer E190 aircraft with seat capacity for 97 passengers on the YVR-ORD route; an Air Canada rouge Airbus A319 with seat capacity for 136 passengers on the YVR-SAN route; and a Jazz Aviation Bombardier CRJ705 with seat capacity for 75 passengers on the YVR-SJC route. To promote these new routes, Air Canada is offering special introductory fares; details are available on www.aircanada.com.